How many members of the international diamond trade make a weekly beeline for the bookstore or newsstand to pick up a selection of the latest consumer fashion and lifestyle magazines? Probably very few. Let’s face it, Vogue, Marie Claire, Cosmopolitan and Oprah magazines are not regular reading in diamond business offices. However, in today’s diamond business, there is ever-growing awareness of the need to know the trends in the consumer markets, to catch up on fashion news and follow the performance of other luxury products. Unlike in the past, when diamantaires took no interest in jewelry and fashion, many diamond companies are moving their operations downstream into jewelry manufacturing and even into retail, ever closer to the consumer markets. And what about trade journalists, those who pen the articles in magazines such as the one you’re reading now? They, too, open consumer magazines infrequently, and then mostly on their own time, not while on the job. However, had they been fully up to date on their fashion and lifestyle magazine reading, they would not have been at a loss at all: after all, in that world “everybody” knows that Amsterdam is Europe’s leading diamond city, and a tour of Amsterdam’s diamond scene should therefore be mighty interesting! 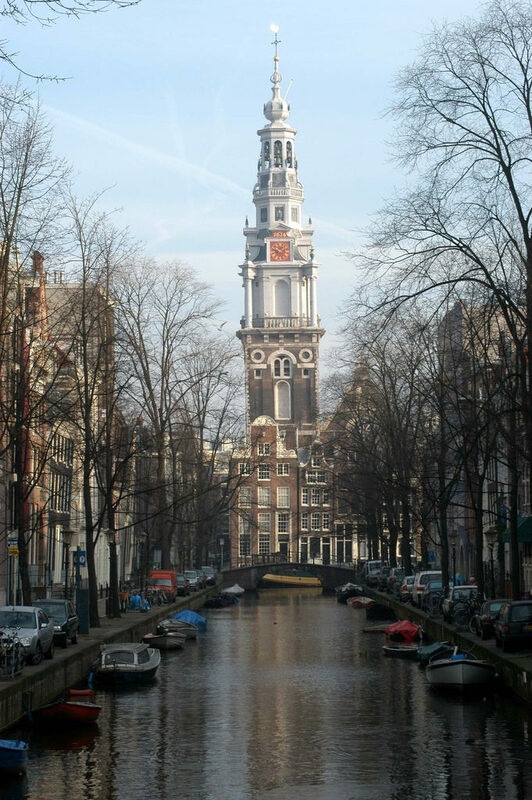 Now, for the benefit of those diamond industry readers who are beginning to lose their patience, let’s spell it out: In 2018, Amsterdam, the city where the modern diamond industry struck its first roots more than 400 years ago, has no major significance as a diamond trading center, and certainly no significance in diamond manufacturing. Its bourse, which is the second oldest diamond exchange in the world, is small, and many of its 100-odd members are retailers. Any Dutch diamantaire will tell you that Antwerp is the world’s undisputed diamond hub. Because of marketing. That single word sums it all up, but the story behind it is fascinating. A select few Dutch diamond companies are currently responsible for the marketing message of “Amsterdam Diamond City.” The two main ones are Coster Diamonds and Gassan Diamonds. 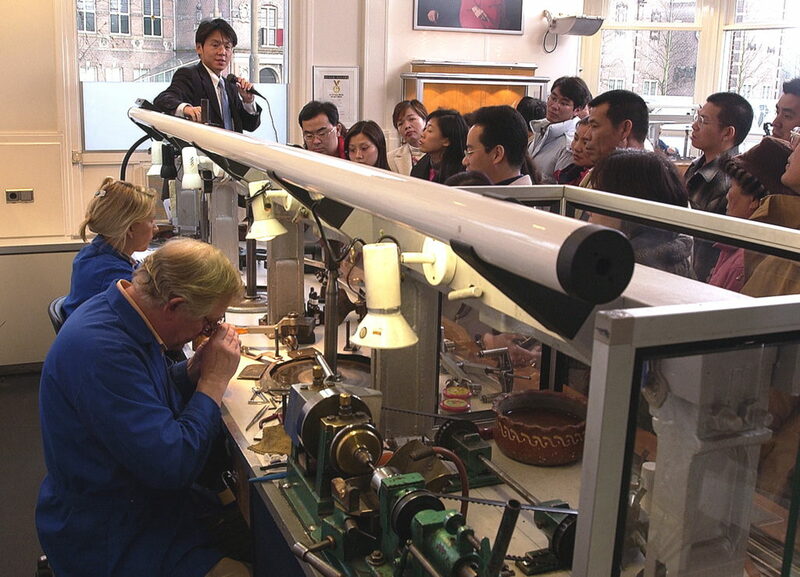 While both companies have deep historical roots in Amsterdam’s past history as a diamond manufacturing and trading center, today these companies concentrate exclusively on marketing diamonds to the many millions of tourists that visit Amsterdam. And there is no escaping the marketing message they transmit. Thanks in large part to them, Amsterdam is painted as the world’s diamond capital in invitations, brochures, flyers, billboards and TV ads. In short, the message “Amsterdam—City of Diamonds” is everywhere. For instance, the back of my Amsterdam hotel room key bore an invitation from Gassan Diamonds to come and see its factory and showroom. “We spend huge amounts of efforts and means getting the message out, and we use a wide variety of marketing methods and advertising tools in order to bring tourists to our showrooms,” said Kees Noomen, president of Coster Diamonds, when he hosted me at his company’s premises. Luck enters into it. Coster’s current location is ideal. The company occupies four interconnected patrician villas, right across the street from the Stedelijk (City) Museum and the Van Gogh Museum, and adjacent to the Dutch capital’s Museum Plaza. “Many years ago, Coster had to move out of its original premises in the original diamond district, due to major city renovations, and it was offered this location instead. And it’s just great for tourist traffic,” Noomen said. Gassan Diamonds also has a great location. Back in the heyday of Amsterdam’s diamond industry, the firm’s majestic building housed a huge diamond polishing plant once built and owned by the Boas diamond company, where, during the late 19th and early 20th century, the polishing wheels were powered by steam engines….The cutters are long gone, but the landmark building remains on one of Amsterdam major waterways, which gets a lot of tourist traffic from the hundreds of canal boats that moor alongside its quay, located at the back of its building. In front of the building, a huge courtyard offers parking to the dozens of tour buses that drive through the gates every day. At both Coster and Gassan, incoming tourists are first given a detailed tour of the “factory,” which is in fact a showroom where a handful of diamond cutters sit behind glass partitions, cutting and polishing or repairing individual stones. Once the tourists have been inducted into the secrets of the world of diamonds and are inspired by its romantic stories, they are introduced to the jewelry showrooms located elsewhere on the premises. Van der Horn said that Gassan has guides and sales representatives on staff that speak some 30 languages, so that Japanese tourists are welcomed in Japanese, Russians in Russian and Chinese tourists in Mandarin or Cantonese. Coster Diamonds works in a similar fashion. Having members on staff who speak the tour groups’ languages gives these firms much greater advantages than just the ability to offer them a guided tour in their mother tongue. The guides are familiar with the tourists’ background and culture, and therefore know what aspects of the guided tour to focus on, and precisely which products will appeal most to these potential consumers, Noomen said. At Coster Diamonds, an extra dimension was added to the diamond experience this year. The company turned one of its four villas into a museum, dubbing it the Amsterdam Diamond Museum (www.diamantmuseumamsterdam.nl). While it has been set up by a private company and is small, this museum offers a concise but interesting overview of the geological origin of diamonds, mining, and the history of diamond manufacturing and trading in Amsterdam in the past four centuries. Coster, personified by Robert Tamara, the museum’s director and chief curator, has — in the writer’s view — done a terrific job and created another small jewel. Of course, the story would not be complete without a description of the tourists. Where are they from? And who buys more, the Americans or the Chinese?